Q:What is MOQ for this product in your company9 A:MOQ is 500 pcs ,if less,please check with us firstly. Q:What delivery time is in your company for this product9 A:Delivery time is 35 days since order in general. Q:What payment is it in your company after order9 A:Payment is T/T or L/C at sight. 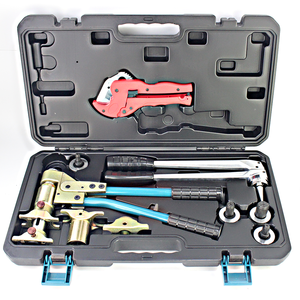 Both our catalog products and customized products, Welcome to . 4.What is your payments9 A:T/T 30% deposit and 70% balance should be made before shippment or L/C. 5.What is your packing9 A: In general, we use normal exportation package with transparent film bags and cartons. Due to the special advantages, compression fittings are more popu;ar with Latin American market. 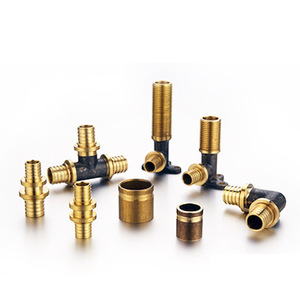 Tubomart's fittings are made of brass, PP-R, PVC and other materials that resist corrosion and wear. Tube fittings are used in various applications, as for domestic construcction use, usually in gas and water and heating system. or it is 30-45 days if the goods are not in stock, it is according to quantity. 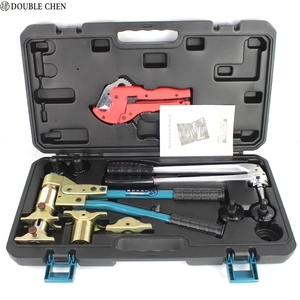 Samples are free , however, the freight cost should be collected by customer. If sample quantity is more than our regular one, we will extra collect sample cost. EFIELD has over 20 years in engineering and producing of brass fitting for water supply. NSF is processing 5. Our brass fittings are mainly exported to Europe, Spain, Australia, South Africa, South America, Middle East etc. Efield pipe and brass fittings are widely exported Europe, Australia, South America, South Africa, Middle East market. 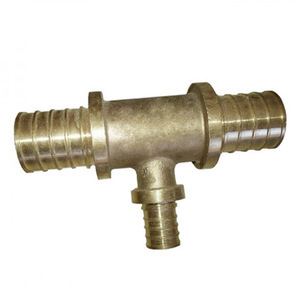 PEX PIPE FITTING PEX Pipe Brass Fitting Material: brass with nickel plated Size:16, 20, 25, 26, 32 Delivery: fast Service: excellent Application Area: 1. Piping systems for transporting hot and cold water in dwelling house; 2. 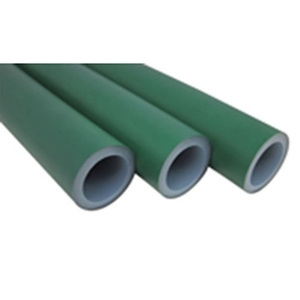 Piping systems for transporting and discharging industrial and chemical subject; 3. Pipeline for purified water, drinking water; 4. Piping systems for producing and conveying beverage and drug; 5. Pipeline for compressed air; 6. Other piping systems in industry and agriculture. Optional Information: 1.Delivery: FOB Ningbo, days negotiable 2.Payment:T/T,L/C 3.MOQ: Negotiable 5.Packing: Nylon bag, Carton 6.Country of Origin: China 7.From production to delivery, we provide you with a clear process in quick respose and good service Details . 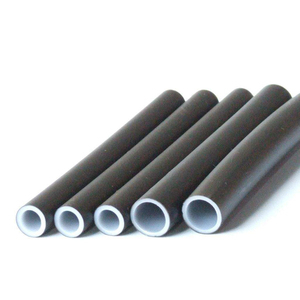 Zhuji Rongde Piping Co., Ltd.
k 2.5x10-5 benging radius &ge;5D working temperature -40~+95 working pressure &le;1.25 radial force 2300~2650 bursting strength 4.0~6.0 1. The raw material for our PEX-AL-PEX pipe is LG XL6500 from South Korea. 2. The raw material for our PERT-AL-PERT pipe is LG SP980 from South Korea. 3. The raw material for our PE-AL-PE pipe is Borouge 3490. 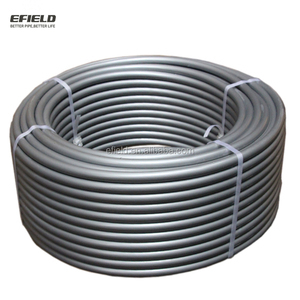 The production line of our underfloor heating pipe is high speed Battenfeld-Cincinnati from Germany. 3. 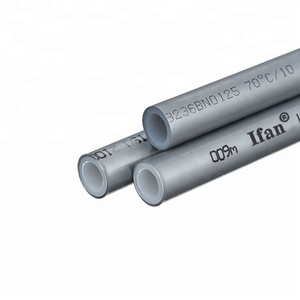 Higher chemical corrosion resistance and environmental stress cracking i.e. 4. With low surface tension, it can effectively prevent scale. Q: What is your terms of payment 9 30% T/T in advance ,balance before shippment.